Glenn Heights City Manager Aretha Ferrell-Benavides was recently honored with the 2017 Mark of Excellence Award, the NFPBA’s highest honor. GLENN HEIGHTS—It is safe to say that Aretha Ferrell-Benavides has taken the city to new heights since she took the helm in July, 2014. It is no surprise that recently the Glenn Heights City Manager was nationally recognized. She received the award not only for her outstanding work locally, but for her outstanding public work throughout her career. 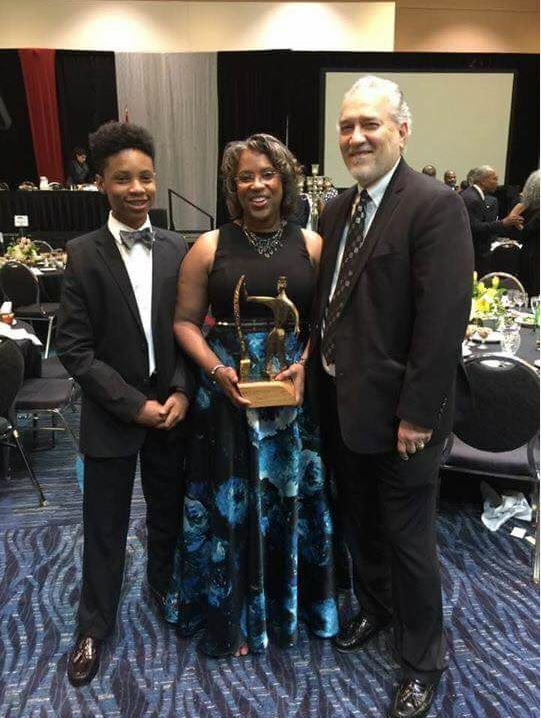 Ferrell-Benavides was honored in Little Rock, Arkansas with a lifetime of leadership award from the National Forum of Black Public Administrators (NFBPA). 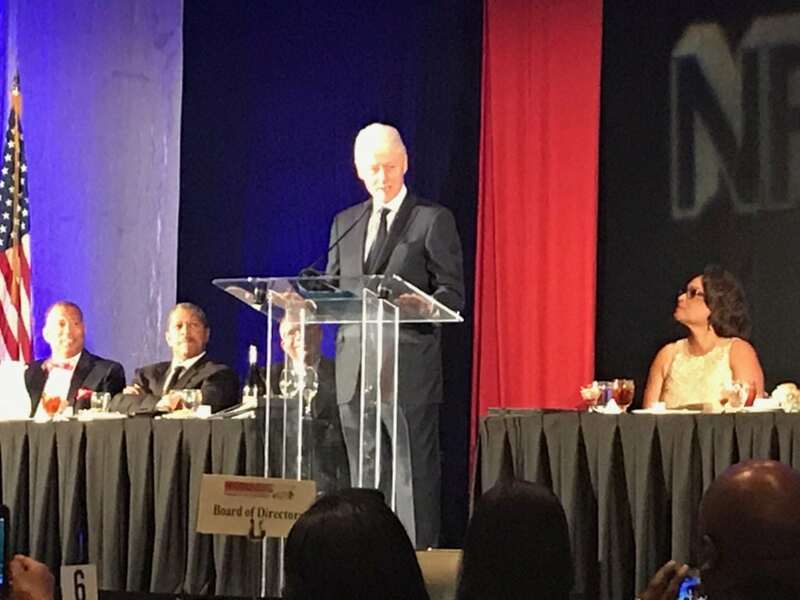 The National Conference or 2017 FORUM was a setting that boasts former President William “Bill” Jefferson Clinton as the gala’s keynote speaker. 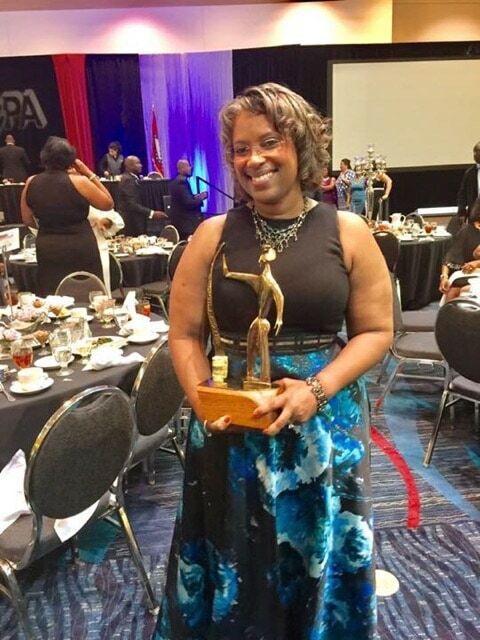 The National FORUM of Black Public Administrators presented Ferrell-Benavides with the esteemed ‘Marks in Excellence Award.’ She admits that at the event she was surprised when her name was announced. The only award of its kind, it is presented at the Marks of Excellence Gala during the 2017 FORUM. This year’s Gala featured Former President Bill Clinton as the keynote speaker. The Marks of Excellence Award is bestowed upon an African American Public Administrator who has achieved extraordinary success in the field of public management. This endeavor is also coupled with a caveat that the honoree must also demonstrate an unselfish commitment to the community. With over 25 years of professional experience at all levels of government, Ferrell-Benavides is the ideal honoree recipient. Prior to her current post in Glenn Heights, she also held high level positions in Washington, DC, Sunnyvale, CA and Chicago, IL. She was presented the award by the President of NFBPA, Little Rock City Manager Bruce Moore. He was joined by President-Elect, Jelynne LeBlanc Burley and past award winner Dr. Calvin Jamison, Vice President of the University of Texas at Dallas. Past recipients include Public Administrators from around the country, including the former Fort Worth City Manager Robert ‘Bob’ Terrell. Aretha Ferrell-Benavides celebrates her honor with son Geoffry and husband Teodoro Benavides. The first Marks of Excellence Award was given in 1984. She got involved with the organization as a freshman in College at Southern University. Ferrell-Benavides remains the only member to move from student representative to ultimately serve as the 17th National President. In 2002 she was the NFBPA Young Public Administrator of the Year Award. NFBPA is a professional membership organization that promotes the advancement of Black leadership in the public sector. Since 1983, membership has grown to virtually all disciplines represented in state and local governments. In addition to public service professionals, the association’s membership embraces students, deans, faculty as well as corporate executives. The first Marks of Excellence Banquet was the concluded the four day conference. It’s first awardee was Dewy W. Knight, Jr, Deputy County Manager of Metropolitan Dade County, Florida.